Representatives are considering these actions for funding as we prepare to embark on Fiscal Year 2017. 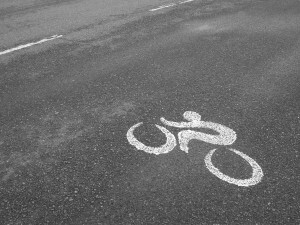 In total, eight proposed amendments have the potential to greatly improve bicycle safety conditions across the Commonwealth. One of the most important involves the study of what the return on investment would be for the state to connect the bicycle infrastructure to mid-size and smaller cities throughout Massachusetts – not just in Boston and other metro areas. Although these do not include the bike path crossing law, authored and filed by Boston Bike Injury Lawyer Andrew Fischer, these bills all are bike-friendly. Amendment 35: This is a measure that would provide funding to a study on the positive impacts of connecting bicycle infrastructure into small-and-mid-sized cities like Lynn, Worcester, Brockton and Pittsfield – two dozen in all. Amendment 309: This measure would allow cities to set parking meter rates with the purpose of allowing that revenue to be used for public property, roads and transportation improvements – including the betterment of bicycle accommodations. Amendment 402: This measure would provide the Massachusetts Department of Transportation more flexibility to encourage cities to incorporate a Complete Streets model of infrastructure on roads that are locally bankrolled. Amendments 1088 and 1242: These measures would boost funding from the state Department of Conservation and Recreation, which is vying to build numerous bicycle trails and better conditions on certain parkways for cyclists. Amendment 684: This measure would mandate learner’s permit written exams would include at least one question that raises the issue of how to safely interact with pedestrians and bicyclists. For lawmaker contact information, click here. The Bike Path Crossing Bill, (S1809). This would provide the same protection to bicyclists in marked crossings where bike paths intersect with and cross roadways, a protection which cyclists do not have, as present law only protects pedestrians in crosswalks and not cyclists. Vulnerable Road Users Bill (SD273 and HD2137). This would provide vulnerable road users legal status and set minimum safety distances for those who are passing them, beginning at 3 feet and increasing depending on the listed speed limit on that road. The measures define “vulnerable road users” as those who are pedestrians, bicyclist, users of wheelchairs, motorcyclists, emergency responders, road workers, horseback riders and others who are at higher risk when using the road. Bike Lane Protection Bill (SD283 and HD2130). This would provide the same protection to bicyclists in marked crossings where bike paths intersect with and cross roadways, a protection which cyclists do not have, as present law only protects pedestrians in crosswalks and not cyclists. To learn more about how you can sound off and voice your support for these measures, visit http://www.massbike.org/advocacy. Accident attorneys Andrew Fischer, Andrew Brodie and Jeffrey S. Glassman, staunch supporters of bike safety legislation, are dedicated to driving home the message that these measures, being considered by the House Ways and Means Committee this week, could have a profound impact on cyclist safety in Boston. As lawyers who have dedicated their careers to fighting for the rights of injured bicyclists, we believe strongly in the power people have to make positive impact. If you have suffered a bicycle injury in Boston, our experienced injury attorneys are prepared to weigh the facts of your case to determine how to best seek justice on behalf of you and your family.